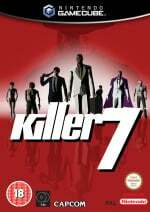 Killer7 was one of the more unique games in the GameCube's library. Developed for Capcom by Suda51 and Grasshopper, it was the last of the "Capcom Five" games for the GameCube (well technically the fourth, as Dead Phoenix got cancelled). Killer7 was certainly quite intriguing and had a strong adult theme. The gameplay took the form of a first-person shooter which was on-rails. The character you played was limited to predetermined paths and the controls felt very clunky, even back in 2005 when it was released. Despite this, it gained a cult following. The thing about Killer7 is that, right now, it's not easy to play that game anymore right now. That's definitely something I'd like to maybe revisit and update. We'd love to see a remake of this unique game with improved controls. Let us know if you have fond memories of this one from the GameCube days or if you think Suda51 should leave this in the past and concentrate his efforts on the upcoming Travis Strikes Again: No More Heroes for Switch with a comment below. I still own it and love it. Even better, why not make a sequel. "The thing about Killer7 is that, right now, it's not easy to play that game anymore right now." Shouldn't have sold your Gamecube, would've made it easier. one of the greatest experiences of my gaming life. I remember a mate owned this game but really can't remember much about it. For that reason alone that I remember so little, I want a remake as it would be like a new game to me. Though this does all assume the rights aren't owned by Capcom because if it is then expect it to release on PS4, Xbox One and never for Switch. I completed this on the GameCube. One of the best games I played. The cel shaded comic style visuals would look amazing remastered. Didn’t have a problem with the gameplay but l’m sure it can be improved. "Harman, the size of the world has changed. It's changed to the size where you can control it with your hands just like a PDA. The world will... keep getting smaller." I never played this on the cube but recently got a ps2 so going to buy this on that format. not a priority right now as Stardew valley not consumes my life! Still have it on the Cube, but I'd definitely get it on Switch! Portability and gyro-aiming would be a great improvement. He's spoken about doing this a few times now, so I hope he does revisit it at some point. It's one of my favourite games but he's right, it is difficult to play these days as the control scheme feels even more awkward than it did when it was originally released. The ending still creeps me out. One of the most unique gaming experiences ever. Yes thousands times yes! Loved this game on gamecube! I started playing this a few months ago on the GameCube, and kind of stopped. The gameplay is so weird. It's definitely very interesting, though. I'll get back to it one day. I'd rather see a new Viewtiful Joe game. But a Killer 7 remake would be nice too. Clunky as it is, I still fire it up every year or so (through the Wii) because it's just so damn great. @SLIGEACH_EIRE: might want to pester either Platinum (Hideki Kamiya) or Capcom for that spinoff/sequel to Viewtiful Joe. On that segue, why not pester him about porting Okami over to the Switch too? The brush mechanics would fit well with the touchscreen. Goichi Suda get out of my wallet. Wait for you to announce that it is official before you start taking my money. I have this for GC but have never played it. I'll have to move it up my 'to play' list now, as I've always thought it looks unique. Wow, strange but totally agree. I loved how enjoyable and challenging was, and the styling was spot on imo. 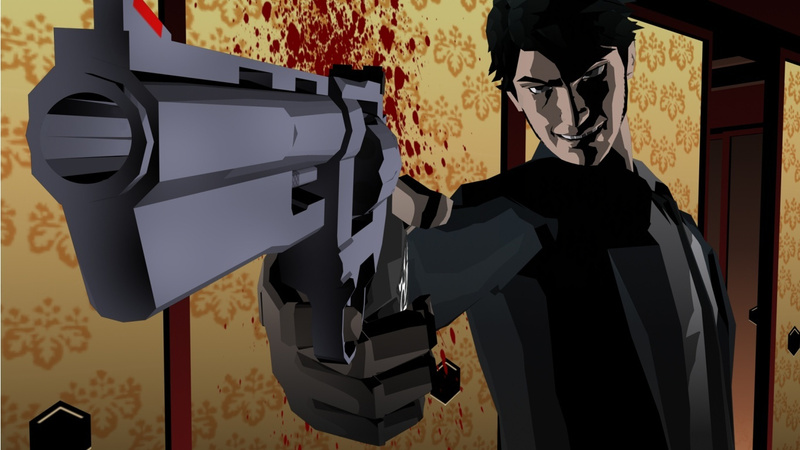 I did also enjoy Killer 7, there's nothing like fulfilling the inner demons while playing video games. I would support I still have my gamecube copy! ... but Capcom owns it. I basically want every GameCube games remastered in HD for Switch including this. I remember this being a pretty neat game in terms of design. If I remember correctly, it was also originally a GameCube exclusive, but Capcom made it day and date multiplatform with the PS2 release as well. Best.Game.Ever!..at least until I found something I enjoyed more. Seriously though,I'd love a newer version of this.I'd even pay the usual over the top price that Switch games seem to have these days. Also, what a joke the 'Capcom Five' turned out to be. That was essentially the beginning of the end of Capcom in my eyes. YES! Easily one of my favourite games (placed 4th in my Top 50 http://lovewithoutanger.blogspot.co.uk/2015/11/top-50-games-of-all-time-50-41.html) I always thought it'd be a great fit for 3DS. I want Killer 7, No More Heroes 1/2 and Red Steel 1/2 and 3 plus why not Bayo 1/2 and 3 and W101/102. Oh and Viewtiful Joe 1/2 and 3 exclusive to Switch. I would really like this remake. I have the original and yes the controls could be updated but I still can breeze through the original. Day one purchase for me if it happens, at any price. My original GCN copy was stolen, and I've been meaning to buy it again sometime. I never had a problem with the controls, they're perfectly fine once you understand this is not an FPS. My only gripe with the original is that the loading times where too long for my taste when entering rooms. If they remake it with shorter load times, HD graphics and widescreen, I'd be super happy. EDIT: Now that I think about it, killer7 with BotW style motion controls would be a dream, albeit maybe too easy. @JJ286 IMO it's a sin that VJ has never been re-released in HD. Such fun and wonderful games, I still have both, but I'd buy an HD remaster in a heartbeat. one of my fav games. would not mind a remake or just another addition to the family or a killer 7 - travis touchdown fusion game. Good memories from that game and definitely one of the more far out concepts. That's the one that hooked me to Suda and his works. You ask me for killer7 in HD and portable???????? I'll take that game everywhere, play it everywhere, show it everywhere, and turn its sound up everywhere to scare people around me everywhere. Hope it has a cutscene player and music test too. Maybe unlocked 'killer8' and 'hopper7' modes right from the start? Still on my list of all-time-favorites. I would LOVE to see an update/sequel. One of the most unique, spooky, and memorable games ever - picked it up for 9 bucks at Target in the days before the Bathroom Wars. 9.5/10.